Eucalyptus is not a single species. In fact, it's the genus, with more than seven hundred species under it. Nearly all of them are native to Australia. 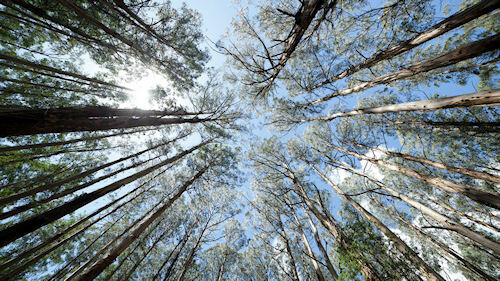 The tallest among them is eucalyptus regnans, colloquially known as mountain ash. That is a stunning picture.